Most fun race of my life. We certainly got pretty muddy! I just got home from the most fun race of my life! 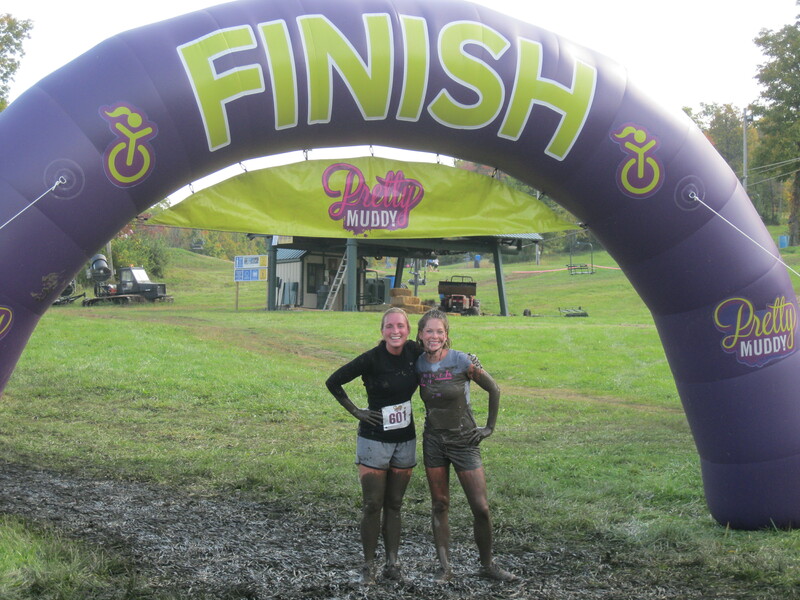 I ran the Pretty Muddy Women’s Mud Run at Mad River Mountain in Ohio. This race was a great experience from the time I registered until I crossed the finish line. I signed up to run the Pretty Muddy Mud Run several weeks ago. I have always wanted to do a mud run, so I was thrilled to register. The registration process and follow up communication was extrememly professional and organized. Earlier this week, I wanted to change my wave time because a couple of my gym clients were running in a wave 30 minutes after my wave. I tweeted to @Pretty_Muddy to inquire about switching my wave time. They responded immediately and pointed me to the race coordinators. I was quickly switched to a different wave time. Awesome customer service. My favorite obstacle — the mud slide! This morning we arrived at Mad River Mountain 1 hour ahead of our race time to pick up our free Pretty Muddy shirts and join in some of the festivities. I spent several minutes tweeting, instagramming, and posting photos to Facebook. The weather was PERFECT — 70 degrees and mostly sunny. The announcer at the start line was fantastic. He got all of us women dancing, jumping, and laughing. The Pretty Muddy race course was perfect for any fitness level. My gym client, Mallory, and I decided to set a goal of winning our heat. The first mile was straight up the ski slope! We went through a bubble tunnel, under and over some wooden obstacles, and through some muddy utility tubes. By the time our first mile was over, we were already exhausted from running up muddy slopes, but super excited to continue. Our second mile was equally as hard. We climbed up and down a high rope course, went down a mud slide, carried a log of wood over our heads for part of the course, and ran up some serious inclines. Luckily, there were water stations at each mile marker to cool us off a bit. The final mile was the muddiest of all. We went down a muddy slip in slide, over and under a few wooden obstacles, and did an army crawl through a HUGE mud bath. Mallory and I finished first in our heat! We ran over and gave Emma a muddy kiss, and then spotted Debby (another gym client and friend) at the top of one of the slopes. We ran back up the mountain to reach her and finish her last mile together. Debby did a fabulous job and got pretty muddy herself. 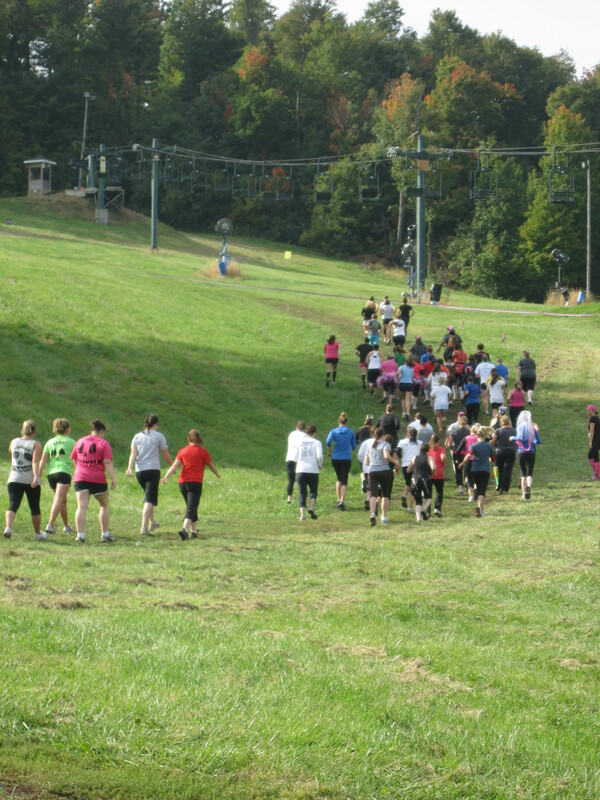 The course was super tough … straight up a ski slope! There were showers and a changing area for us after the race. There was also tons of food and drinks for purchase, in addition to awesome Pretty Muddy swag. I will most certainly be participating in the Pretty Muddy Women’s Mud Run next year! It was extremely well organized and executed. Mallory and I finished first in our heat! Looks like SOmuch fun!! Love the picture of you and your daughter, so sweet! What an awesome time!! That looks so fun!! 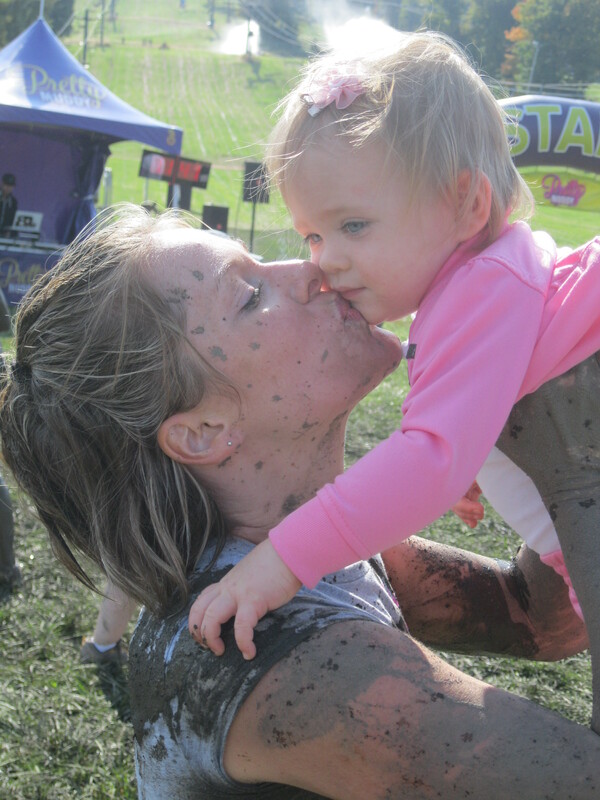 I love the muddy pic of u and the lil one!! :o) so sweet!! Spa love!